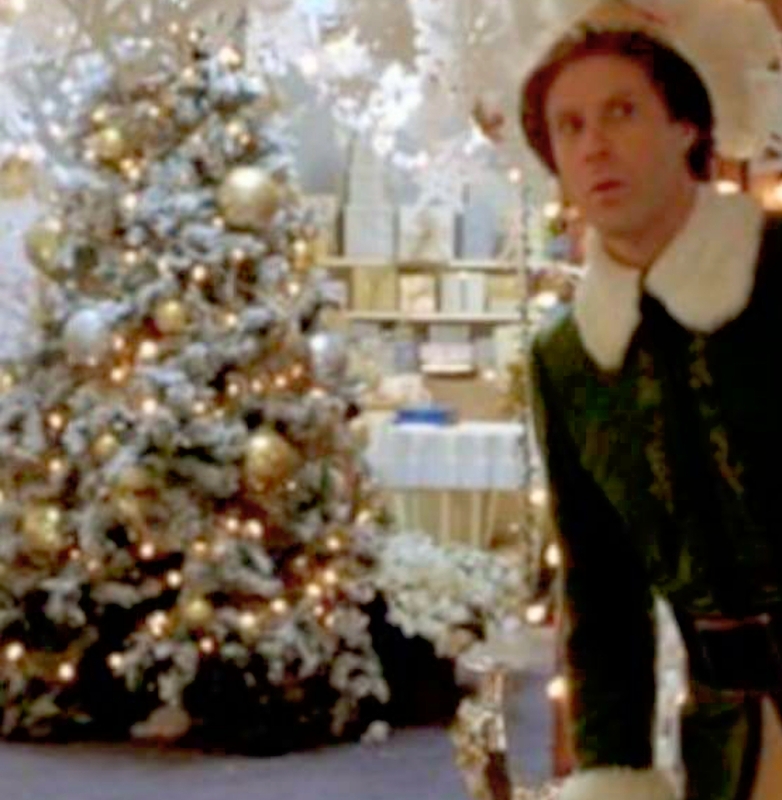 I love the Xmas tree in the movie ELF. 2b. 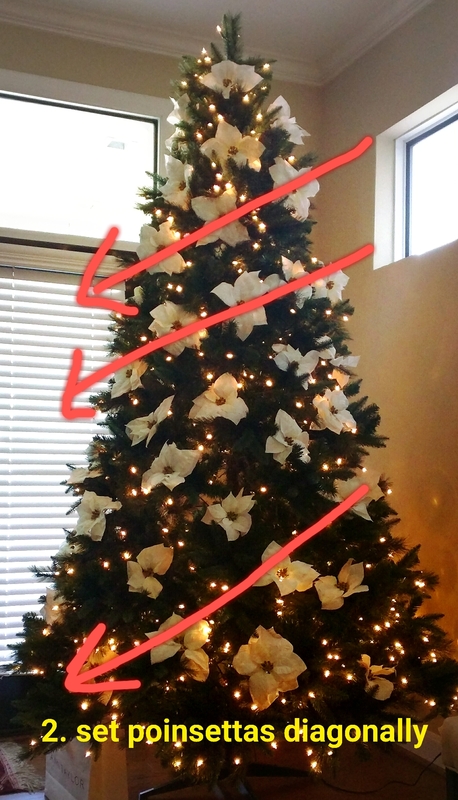 Put poinsettas on tree diagonally about 6″ down for each row. 3. Infill blank spots with large ornaments. 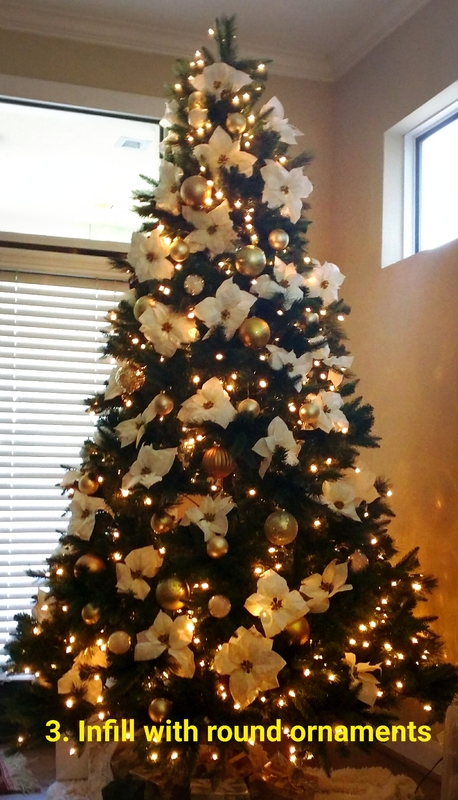 Be sure to put large ornaments near top and middle as well as base. 3b. 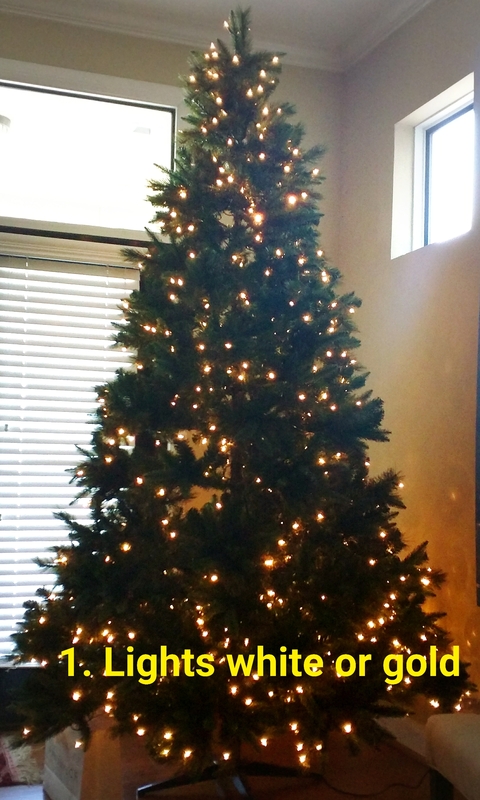 Infill with small ornaments and put the disco ball ornaments nearer the trunk and near a light in the middle.